The process of organizing and cleaning up can be a little ugly - found a nested folder on the computer that had a bunch of things which folks had sent in late last year, that "I was gonna get to..." but didn't. Within that unremarkable digital repository is a goodly chunk of cool bicycles. I may end up threading them into the newer submissions, or just try to do those sequentially (which may in turn build up the backlog for more recent entries.....) We'll see. Again for those of you who have sent stuff in and have yet to see it represented, patience please! (And Thanks! - both for the images and descriptions and for the patience!) Hang in there, subscribe to the feed and enjoy these fine bicycles. Along with the early Trek bicycles, another set of bicycles which I've always secretly lusted after has been the fillet brazed Schwinns. 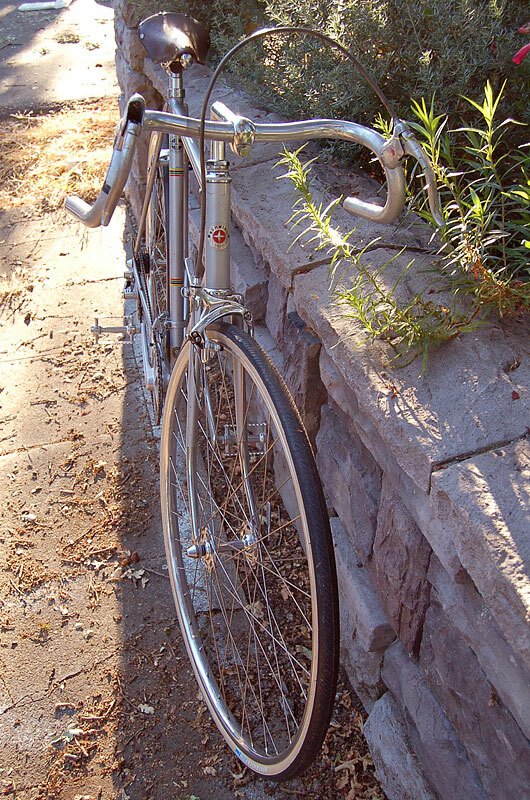 This under appreciated segment of Schwinn's lineup seems to be largely unknown to folks. It first caught my eye when I read about them on Sheldon Brown's site - in Mark Rother's article posted there. Now, certainly, I like lugs. But, there's something really beautiful about a fillet brazed frameset - a smooth, seamless quality to the work that flatters the elegant simplicity of a bicycle frame. The Schwinns such as Nick's Superior just seemed like really undervalued framesets. Hopefully (since we presumably ride in the same county) I'll cross paths with this bicycle one day - but in the meantime, enjoy these images of this bicycle.